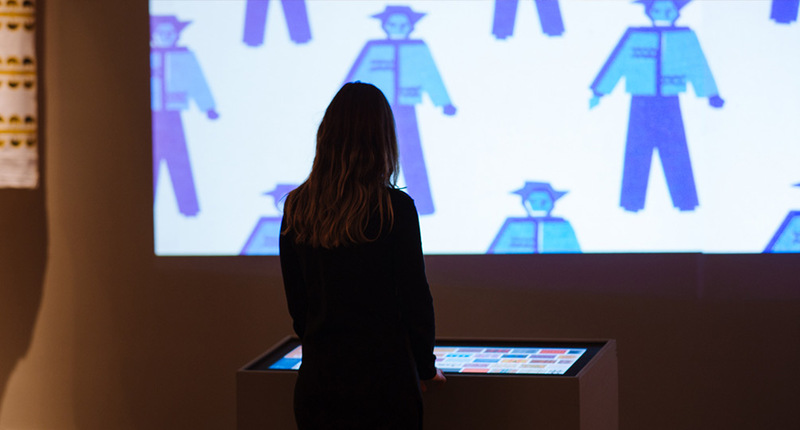 Ideum has collaborated with the Institute of American Indian Art (IAIA) and the Museum of Contemporary Native Art (MoCNA) on an interactive exhibit for their Lloyd Kiva New textile exhibition. 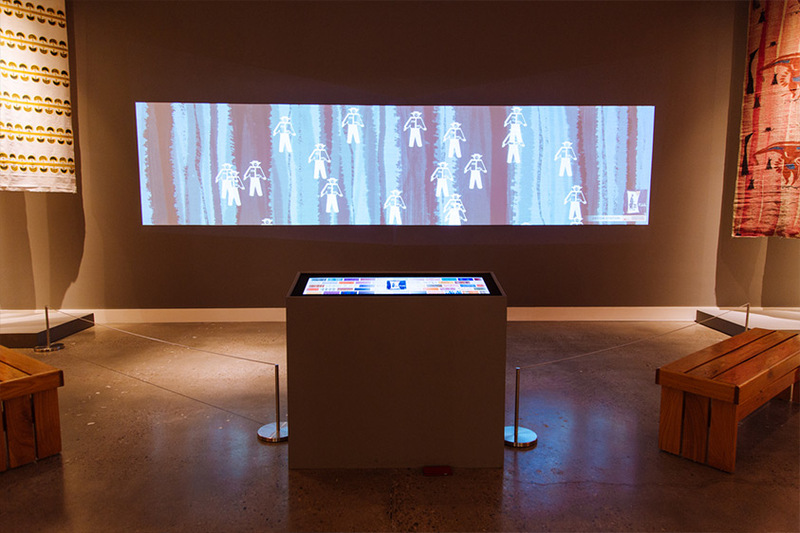 The interactive features two activities, a textile collection viewer and a textile creator. 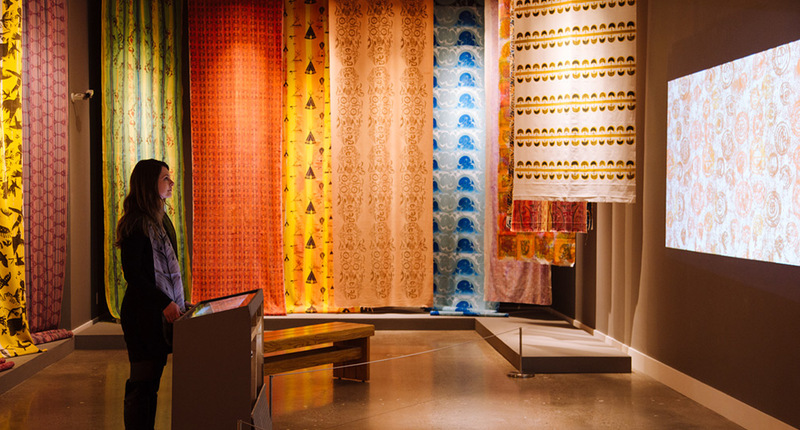 The textile collection viewer features printed textiles created by IAIA students during the 1960s and 1970s under Lloyd Kiva New’s artistic direction. 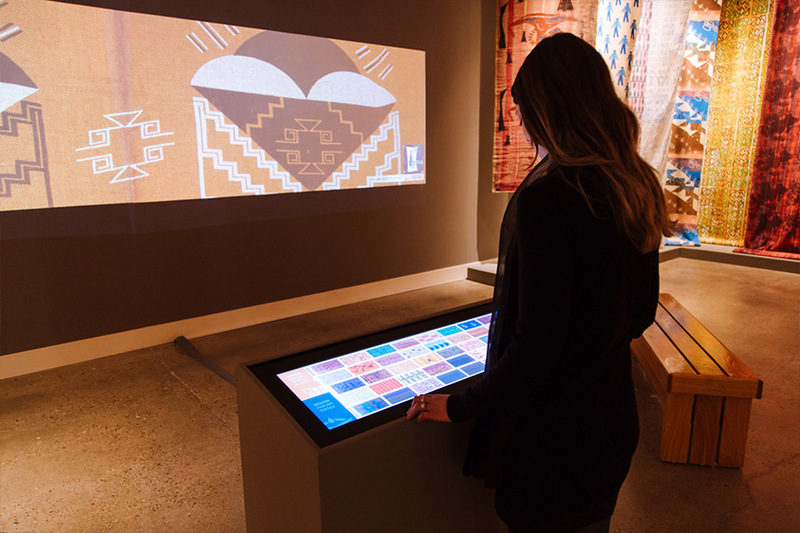 The textile creator takes elements of these textile designs and allows users to digitally experience the printmaking process via the touchscreen and a projection wall. Ideum sponsored an internship for an IAIA student to work onsite with Ideum during the fall 2015 semester, with a focus on the content for the project. Ideum looks forward to further collaborations with IAIA and the Museum of Contemporary Native Arts. 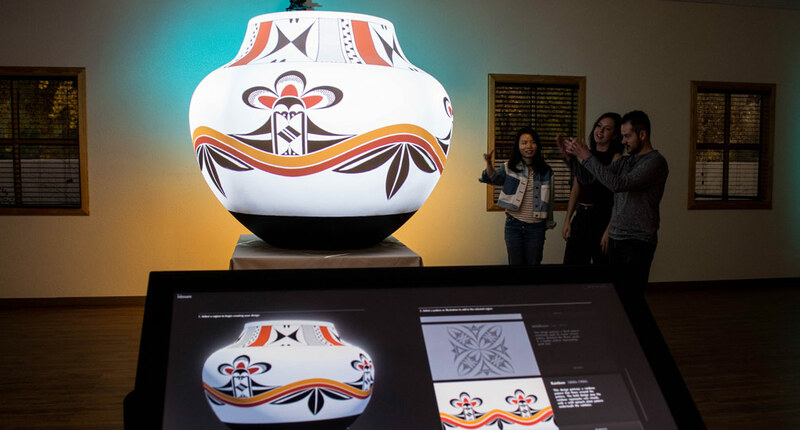 The interactive runs on a custom Ideum 38-inch stretch touch monitor, the same model featured throughout The Field Museum in Chicago. 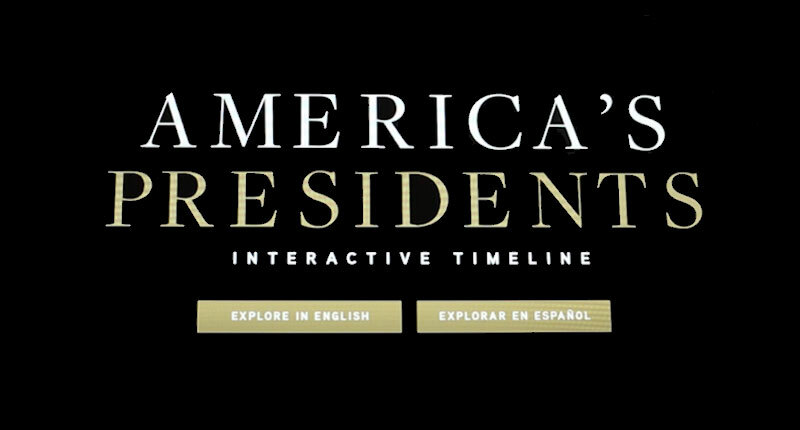 Ideum’s Creative Services team designed the interaction and the graphics, and developed the software application. Colorful textiles are shown on a wide projection wall. A 38-inch touch table serves as the control console. 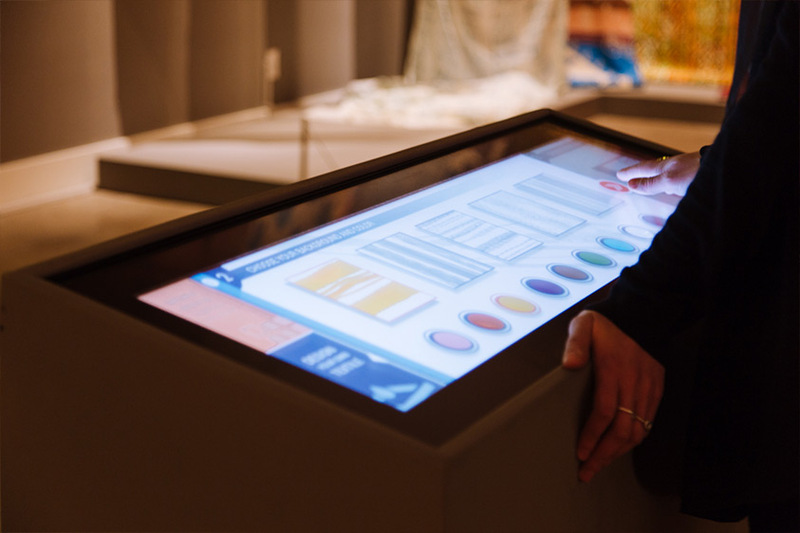 Museum guests use intuitive tools to design their own patterns.